I think for everyday products and inexpensive brushes ELF is the place to go! 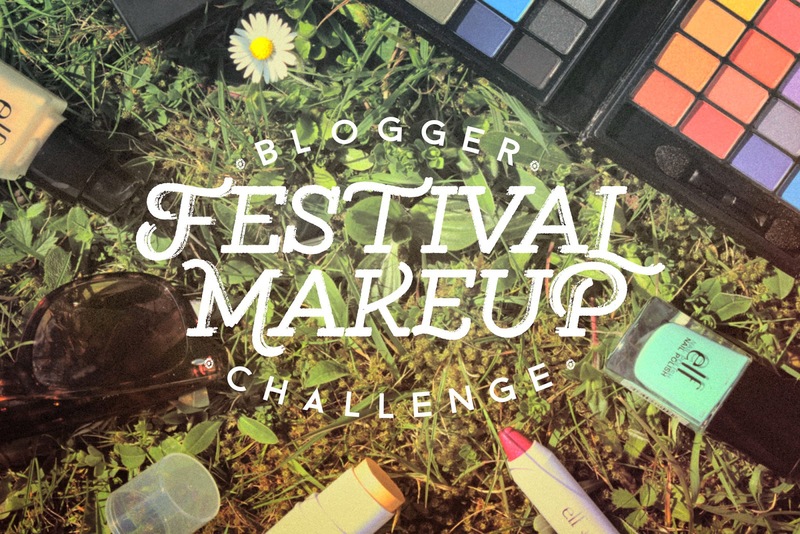 Some of my favourite products (Personal Blend foundation and the Contouring Blush and Bronzing powder) come from ELF, so when I was asked to participate in the ELF Blogger Festival Makeup Challenge I was genuinely excited! The brief was to come up with a Festival Makeup Look using ELF products only. I decided to go for more of the Bohemian look for my Festival Challenge. So how do you go about getting this look? Firstly, I started off eyebrows as I always start with brows. I applied the wax from the brow kit and set with the brow section of the Wet Gloss Lash and Brow Clear mascara. Then went ahead and cleaned up as well as highlighted with my Full Coverage Concealer. I then applied the All Over Colour Stick onto my brow bone as a brow bone highlight. I applied the HD Mattifying Foundation with a damp beauty blender as well as the Tone Correcting Concealer under my eyes. I then set my face as well as under my eyes with my High Definition Corrective Yellow Powder. I think glow when I think Festival (at least when you first arrive!) so to bring out a glow on my cheeks I went in with the All Over Colour Stick in Persimmon and topped this off with a bit of my Shimmering Facial Whip in Golden Peach. I must bronze with EVERY look I do, I have to! For this look I used my favourite bronzer from the Contouring Blush and Bronzing Powder duo. I use bronzer like a contour powder so I applied this to the hollows of my cheeks, temples and around the sides of my face. I also applied this down the sides of my nose as contour. For blusher I didn’t want to go too OTT as the eyes were very colourful so I used my Mineral Blush in Peachy lightly over the cheeks. I added more of the bronzer for warmth. I primed my eye with the Tone Correcting Concealer as well as my Full Coverage Concealer as they act as a good lightly coloured base to apply shadows onto. I took the matte yellow from the ELF Little Black Beauty Book in Cool Edition and packed this onto my entire lid. To enhance the yellow, I packed on the golden yellow shade on top of the matte yellow shade previously applied. I then took a fluffy brush (the ELF flawless concealer brush is perfect for this) and a bit of the orange matte shade in the book and placed this in my crease to act as a transitional colour as well as to blend out the harsh lines from the yellow shades. 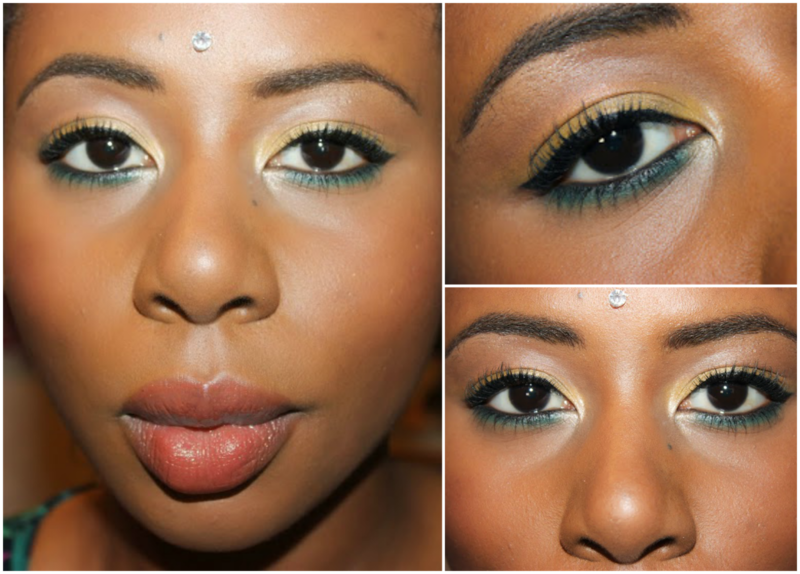 After this I applied the moss green matte shade to my lower lash line and gently blended out. I also took my Mineral Eyeshadow in Natural and applied this to my inner tear duct for brightness. I always seem to mess up liquid eyeliner so for precision I took the Liquid Eyeliner and applied this with an eyeliner brush instead of the brush provided as I am more used to applying eyeliner with a brush. Afterwards tight line, this brings the look together, make sure to use waterproof cream/gel liner for this for staying powder. Lashes will accentuate this look perfectly, and the ELF Natural lashes would actually look fantastic with this look but alas, I cannot apply lashes to save my life so instead I went in with two coats of the waterproof side of the Mascara Duo and one coat on my bottom lashes. And with that eyes are festival ready! Last but not least, lips. I applied a good coating of the Tiki Torches Jumbo Lip Gloss, I then went over this with a bit of my Conditioning Lip Balm in Bombshell Brown and voila! To make sure your makeup stays all day, don’t forget to set with ELF’s Mist & Set Spray. 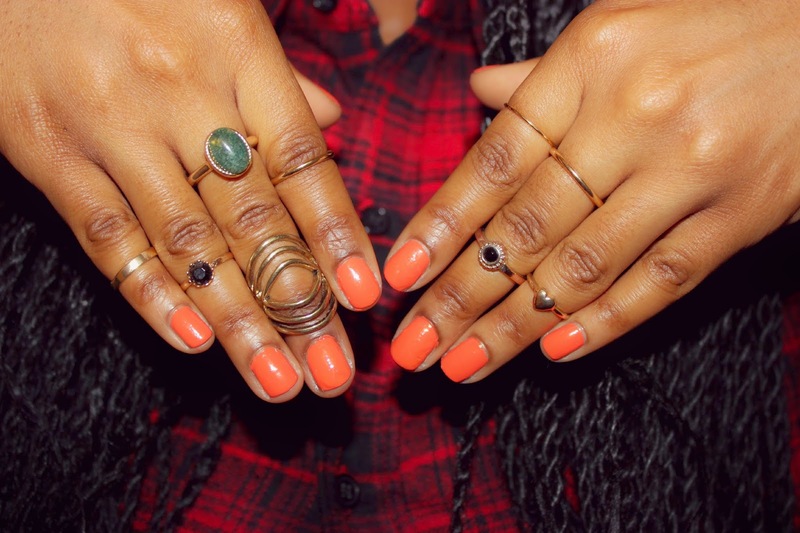 Add some fun embellishments, paint your nails with Party Peach nail varnish, add a head chain and rings and you’re ready to go! Sending positive vibes and festival love to you all! Love the look! Such a great use of the teal greenish shade! I don't often bring color or shadow below as I get watery eyes quite often! I really like that elf palette, its small but there's a lot to choose from! 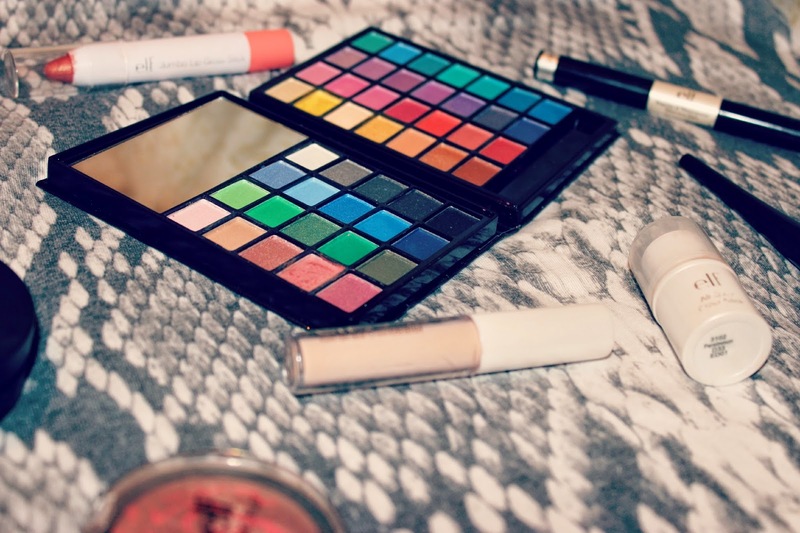 Your eye makeup is seriously gorgeous! 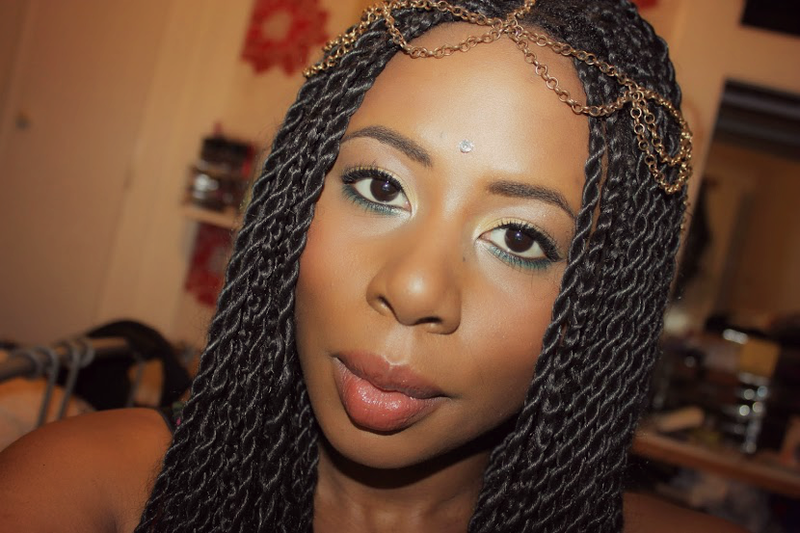 Perfect festival makeup. Pretty look!! and i love ur nails!! I really like the make-up!